What's your exit strategy for your hardware or software company? 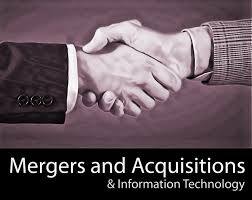 You are here: Home / Mergers & Acquisitions / Is It Time to Sell Your Hardware or Software Company? Is It Time to Sell Your Hardware or Software Company? Cashing out–this is the point that most, if not all, technology entrepreneurs aspire to reach. They dream of their exit strategy: selling their company and laying on a beach somewhere; a colorful drink with the requisite tiny umbrella cooling in their hand. So let’s get back to the great majority out there, who set out to some day cash in on all of your hard work by selling your company directly to another company. How do you know when the time is right? These are the most common reasons that come to mind–it is certainly not a complete list. Although we are talking about companies, in most cases the decision to sell ultimately comes down to a personal decision by one or a few individuals. So the reasons that these decisions happen are as varied as the population overall. Given this list of common stimuli for considering a sale, what are the RIGHT and WRONG reasons to consider a sale–if you want to maximize your return within your particular circumstances? On an impulse–you’ve been running your business, not even think about selling your company. An offer comes along and you get caught up in it–without having planned for it. Or things have been going poorly and you are at an emotional low. This is the opposite of having an exit strategy. Acting in these circumstances is similar to getting married, divorced or starting a new business–don’t do it without thinking it through or planning it properly. Fear–don’t sell just because you are scared; that’s probably the best way to leave money on the table. There are ups and downs to every technology business. In my experience, things usually aren’t as bad as they look at a specific “down” point in time–or as good as it looks at an “up” time. It’s important to look at the prospects of a business over a period of time, considering both how things have gone and most importantly, the forward-looking forecast. Sales are in decline–this is the worst time to sell. If you do this, all leverage goes to the buyer. Of course, panic sets in as you see your valuation melting away and human instinct is to “get what you can” before it degrades further. But first consider the situation coldly, without emotion–is it reasonable that you can turn it around and reignite growth? Is the decline all specific to your business, or is it a cyclical market or a bad economy overall–which might turn around in some reasonable time period? Sometimes selling under these circumstances is the right thing to do and is unavoidable. But with proper planning, you may be able to sell your company BEFORE this happens, or turn it around going forward with a well-thought out plan. You believe you’ve reached the peak of valuation–this seems obvious, but it is difficult to do. Finding the right time to sell is tricky; you don’t want to exit too early and leave money on the table. So the inclination, given that tech businesses are valued as a multiple of revenue or EBITDA is to hold on until growth stalls. But if you wait until you built up your sales so much that little “natural” growth” is left in your product/market cycle, the business may not look as attractive going forward for the most attractive potential buyers. Most strategic buyers would like to see good growth prospects in a potential acquisition. So the best exit strategy might be to “leave a little growth on the table”; this might lead to a higher multiple from the buyer and a higher price overall. You haven’t been enjoying running the business for a very long time–I believe strongly this is a time to get out. If you have someone else whom you feel comfortable leaving in charge, that’s fine. But otherwise, either you’ll run it in to the ground from burnout, or you’ll walk away and let someone else destroy it because you just don’t care anymore. Passion is important in the tech business; when it’s gone it’s usually a good time to sell. But please do it in a logical, process-oriented manner with a well planned exit strategy. A fundamental shift in the market or your business–This could mean many things: you have lost a number of key people, the economics of your market changes, or a major investment will be required to keep the company on a growth path. The specifics here could be quite varied; the common thread is that with the change in fundamentals there are real clouds on the horizon. This leads you to a thoughtful belief that continuing to operate the business as a standalone entity isn’t an optimal path forward. An exit strategy for the sale of your company is a very important “life changing event” for the owners, founders and managers of a software or hardware company. I’ve seen sales come together very quickly and completely unplanned. I view unplanned company sales as the business equivalent to a quicky divorce that ends up as an emotional event, without careful consideration or an objective study of the alternatives and consequences. It is a once in a lifetime event for many, and should be given the careful consideration that these types of events deserve. That’s my view–post a comment with your own exit tales or opinions. Great article. The point you make about thinking through alternatives is a key one. Even if you are set on selling your company to a specific buyer its always good to strengthen your BATNA to create leverage during negotiations. When I sold my software company to Cisco Systems in 2007, we knew we wanted to sell to them (for multiple reasons), however we also critically evaluated all of our options including maintaining relationships with a second prospective buyer as a way to strengthen our position at the table (and also create a fallback in case the deal fell through).